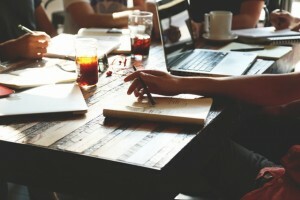 Here are some very useful tips for enhancing your business writing techniques. Following these tips can mean the difference between increasing your business or losing clients. Proper spelling for businesses is even more important for people who write for everyday purposes. Potential clients could view lack of grammatical spelling and communication as a reason to shun away from your company. For anyone who has their own business, being able to write properly and professionally is very important. This is even more so in today’s world of technology driven communication where about 90% do so via electronic text. Furthermore, those who have strong writing skills can end up saving 30 to 50% in writing time and upwards to 50% in reading. When you consider how much time business owners spend writing reports, proposals, marketing materials and emails, strong writing skills are imperative. Having them can mean saving a lot of time since potential clients have to also read them as well. So no matter what type of business you have or field you are in, proper, professional and correct spelling is essential for your company and image. It is hard to imagine how we all lived without spell checker and auto-correct years ago. Technology has allowed us to be able to write faster and easier knowing that when we do so, tools such as auto-correct and spell checkers are there to catch and fix any grammatical mistakes we make. Take advantage of the many tools available for everyone when it comes to helping to make sure your writings are correct. Sites such as Online Spellcheck are extremely useful. Using spell checking tools can save you lots of times and makes sure your writing are error free. However, keep in mind that you still need to proofread your work since spell checking tools sometimes have a mind of their own. They can also interpret something you meant to say one way as opposed to what you actually meant. Nevertheless, when it comes to helping you make sure your writings are free of grammatical errors, these sites are extremely useful and handy. Some people may be hesitant to do so, but reading your work out loud works effectively well. This is because your brain processes information in a different way when you read outloud. It gives more attention to transitions, tone, flow and cadence used in your writing. Plus, the order of information handled by your brain becomes more heightened which then allows you to notice gaps in your work. Lastly, small errors such as missing commas or words are more easy to identify and notice. Find a quiet place and read the document slowly a few times to make sure all is correct and perfect before using your final draft. Other tips include making sure you learn to refine your writing. This means treating your work like a Tweet where you have a word count limit. Use concise and to the point ideas to make sure your message is point on. You can change your 200 plus word writing into a 50 word one which the reader can find more interesting and easier to read. List your key and strong points to make sure your message is clarified in fewer words. Also, you should make a checklist to ensure you have all the items and info you need on your writing before you press print or send. If you have spent a long time writing your work, be sure to take a rest before you begin to check your work for errors and mistakes. Our brains tend to process what we intended to say and not what we actually wrote which is why editing immediately after writing is not a good idea. Following these tips will greatly increase your chances of business profitability since it goes right to the heart of selling and marketing your company. Remember, what you send in each email, report and work is an outsider’s view of your company’s image. Making sure that image is free of grammatical errors and perfectly written can mean the difference between success and failure.